BRYAN EATON/Staff photo. 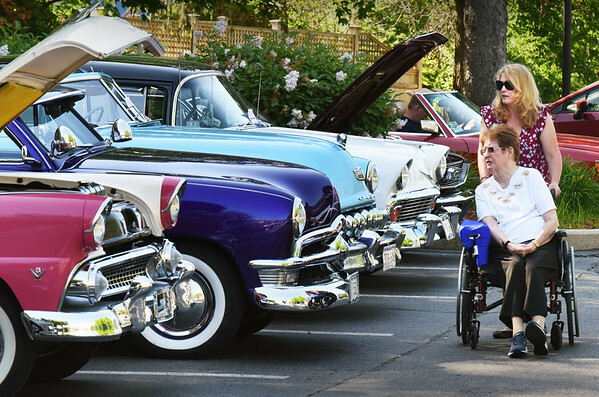 Maureen Kolvek assists Atria Merrimack Place resident Betty Hoyt check out the vintage autos the facility held, part of a weeklong Father's Day celebration. In addition to 50's blaring out, there was also hamburgers, hotdogs and a popcorn stand for the residents.